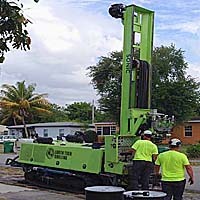 Earth Tech Drilling Inc. combines the skills and resources of highly experienced drillers and technicians with state of the art equipment to provide Hollow Stem Auger, Mud and Air Rotary Drilling Services to meet all your environmental and geotechnical needs. 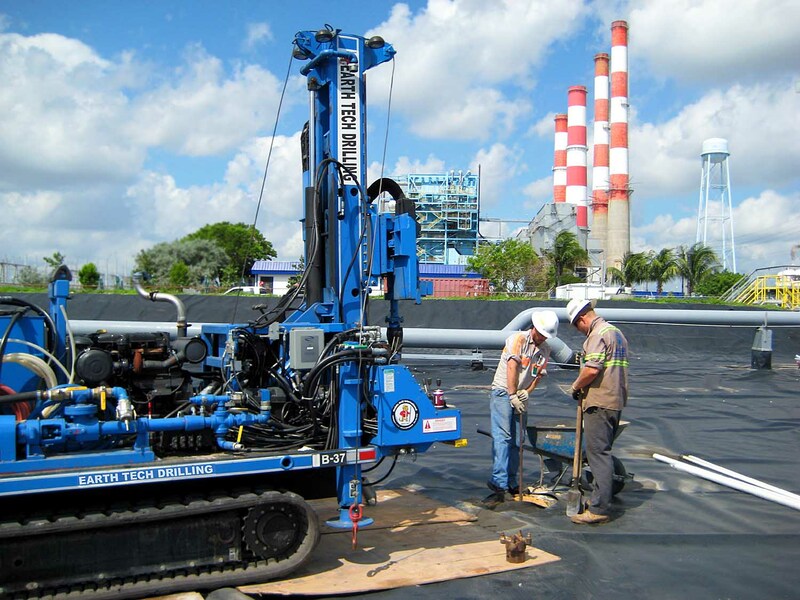 We have extensive experience throughout Florida and much of the southeastern United States. 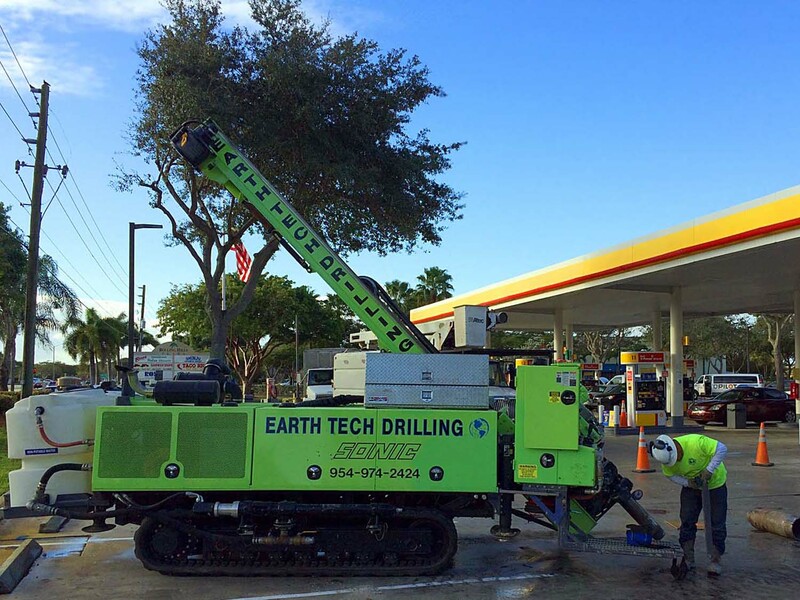 Earth Tech Drilling is located in South Florida and our clients range from large national environmental consultants and major oil companies to the corner mom and pop service station owner and dry cleaners. 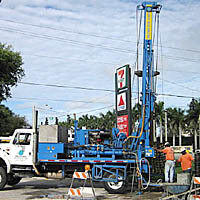 Ideal for soil sampling, water sampling, and monitoring well installations. Fast results with less noise and less mess. 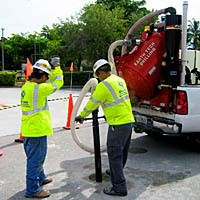 Expose underground utilities without the risk of damage using vacuum clearing. 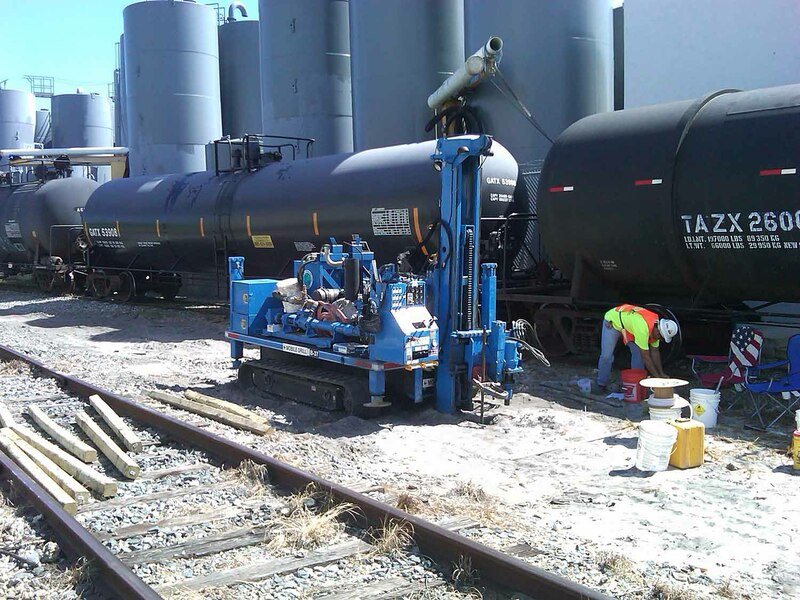 Mud and air rotary, hollow stem auger, and direct push for standard penetration tests and undisturbed sampling. 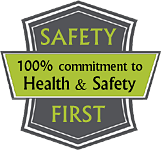 Advanced equipment and knowledgable staff ensure expert results. Clean fresh water for drinking or irrigation without monthly water bills. 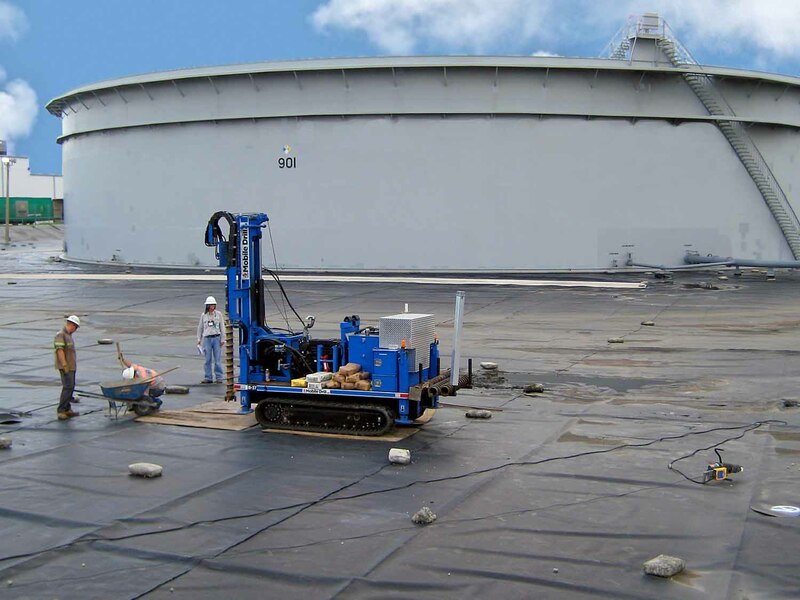 During my years working with Earth Tech Drilling, I can always count on them to be prepared and complete the job in an efficient and timely manner. 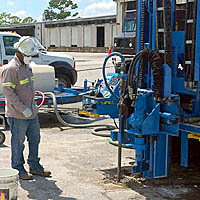 They use well-maintained equipment in order to maintain high levels of productivity. Easy to coordinate and schedule work. Great company and well trained and experienced staff. 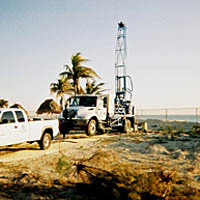 I have been in the environmental assessment/cleanup industry since 1987, including 5 years managing a Florida environmental drilling firm, and I am impressed with work product and professional nature of the folks that work for Earth Tech Drilling. 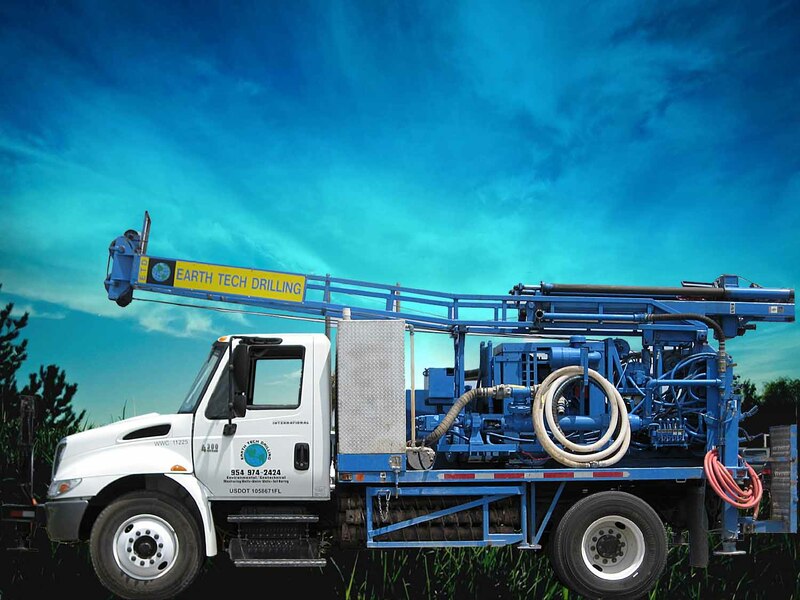 Their equipment is always clean and in good working condition, the support vehicle is always organized with additional materials for an expanded scope, and their drillers/helpers are experienced, polite and OSHA trained for safety on environmental work sites. 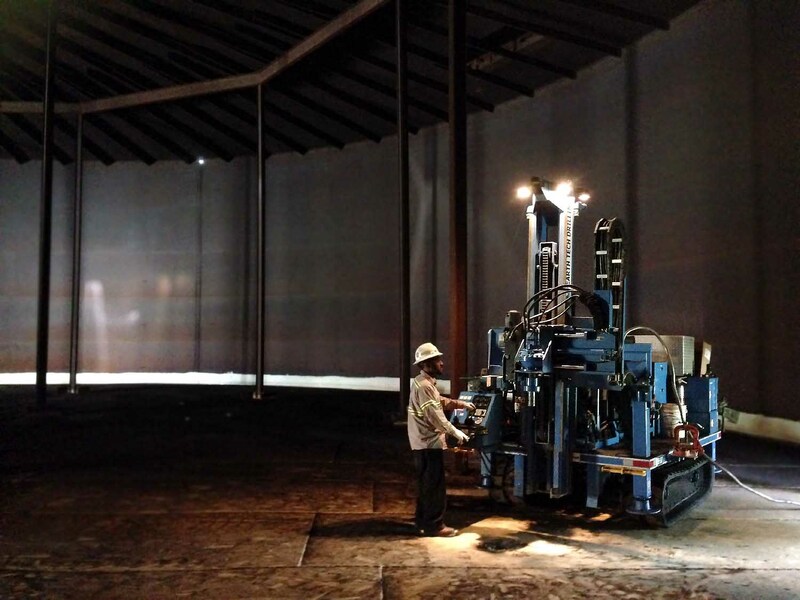 Some drilling firms get confused when work scopes require last-minute changes, but the Earth Tech guys are prepared for these changes, and in many circumstances have even given us new ideas on how to accomplish what is necessary to finish a tough job. 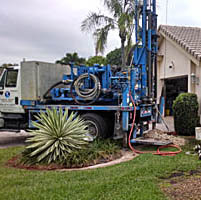 I will continue to use Earth Tech Drilling, as they have always performed well on any job site in which we have utilized their services.